When we talk about tryptophan foods, it is usually in reference to turkey and the post-Thanksgiving coma it induces. Tryptophan is one of 8 essential amino acids that our bodies need. The body uses tryptophan to produce serotonin, which can then used to make melatonin, our “sleep hormone.” But there is absolutely no need to eat turkey to get tryptophan. In fact, there are many plant sources of tryptophan which have much more of the amino acid than turkey. Tryptophan (referred to as “T“) is among one of nine essential amino acids that our body is unable to prepare. First of all, T is absolutely necessary for normal growth and development of infants. Moreover, T is also responsible for nitrogen balance in adults. Tryptophan (T) is also a precursor to niacin and serotonin. Serotonin, also known as a “feel good” or “happiness hormone,” is thought to balance sleep and produce a stable mood. A low level of serotonin causes depression, anxiety and premature aging. It should be noted some people claim slight depression as a result of veganism. One common belief is that vegans can’t get adequate T. But, in reality, this is not true. An adequate amount of vegan diets can meet our body requirement of T.
A deficiency of T can lead to weight loss in infants and children… Not good. If this essential amino acid isn’t consumed, it could lead to vitamin B3 deficiency. What does a B3 deficiency really mean? A vitamin B3 deficiency can lead to pellagra, which is a disease caused by a defect in the metabolic conversion of T to niacin. Pellagra is characterized by G.I. disturbances, erythema, and nervous or mental disorders. A T-deficient diet can also lead to low levels of serotonin, which in turn leads to depression, irritation, anxiety, and low concentration levels. It is time we ruled out turkey as a good source of tryptophan. As Dawn Jackson Blatner, RD, LDN points out, turkey doesn’t have any more tryptophan than other types of poultry. Pretty much any good source of protein is going to have tryptophan – but that doesn’t mean the body can use the tryptophan from these protein sources. For example, dairy products like milk have lots of tryptophan but they also contain lots of pro-inflammatory cytokines which will degrade tryptophan. Most animal-based proteins are loaded with saturated fat and lacking in fiber and vitamin C, which also makes it difficult for the body to use tryptophan for serotonin and melatonin production. So, to the surprise of many, the best tryptophan foods are likely those found in plants. Unlike animal products, plants are rich in anti-inflammatory healthy fats, fiber, antioxidants and also often contain the tryptophan cofactors. Here are some of the best tryptophan foods which will have health benefits beyond just boosting your mood and helping you sleep. Spirulina and chia seeds also happen to be rich in numerous other nutrients, so you might want to consider adding these superfoods to your diet regardless of whether you think you need tryptophan. You can find them on Amazon for considerably less than what they probably cost in your local health food store. 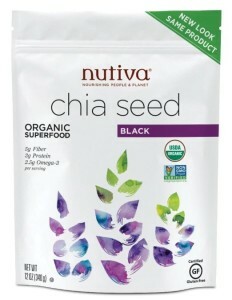 I like Starwest Botanicals Organic Spirulina Powder (1lb bulk bag) and Nutiva Organic Chia Seeds. The soybean belongs to the legume family. Soybeans are an excellent source of protein, and in fact the only vegetable with a complete protein. They’re also a great source of vitamin K, calcium, magnesium, iron and fiber. 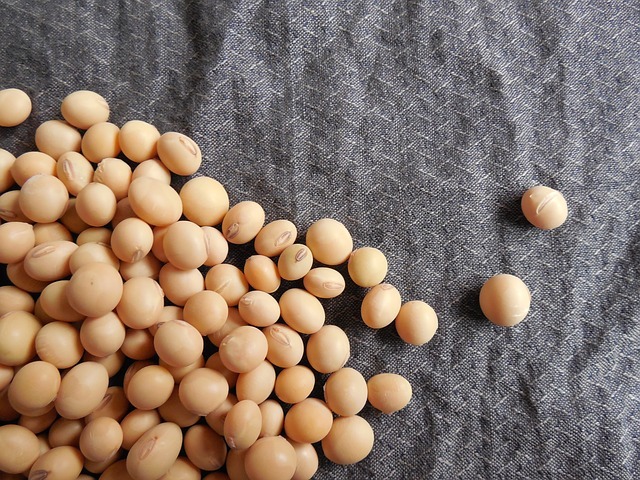 Soybeans are known to lower blood cholesterol level (LDL). 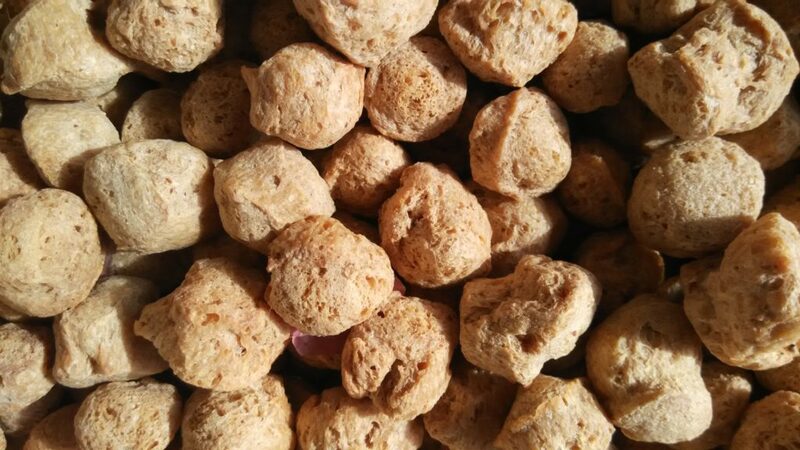 Finally, soybeans are an enriched source of T, containing 0.048 grams per ounce. 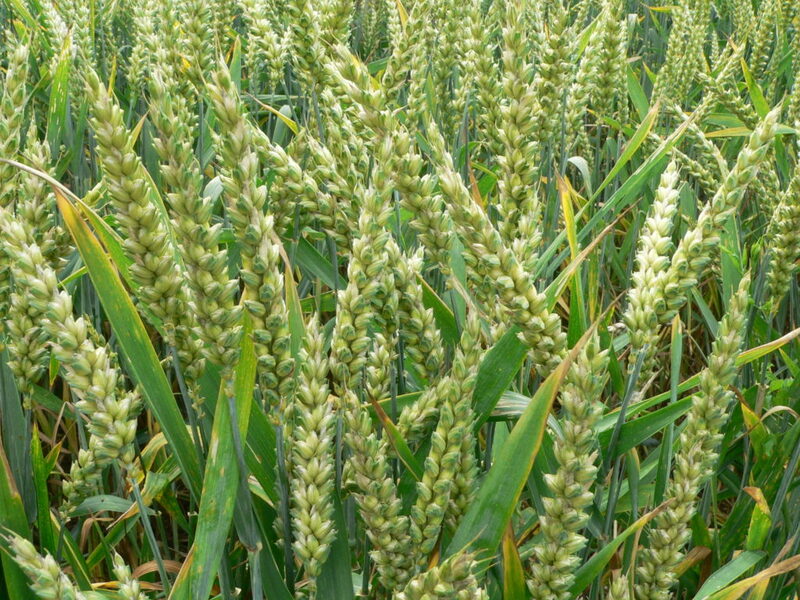 Wheat is a staple food worldwide, this much we know. We also know some people are intolerant to wheat due to gluten allergies. For those tolerant, wheat contains a good amount of amino acids, including T. In conclusion, wheat contains 0.011 grams per ounce. 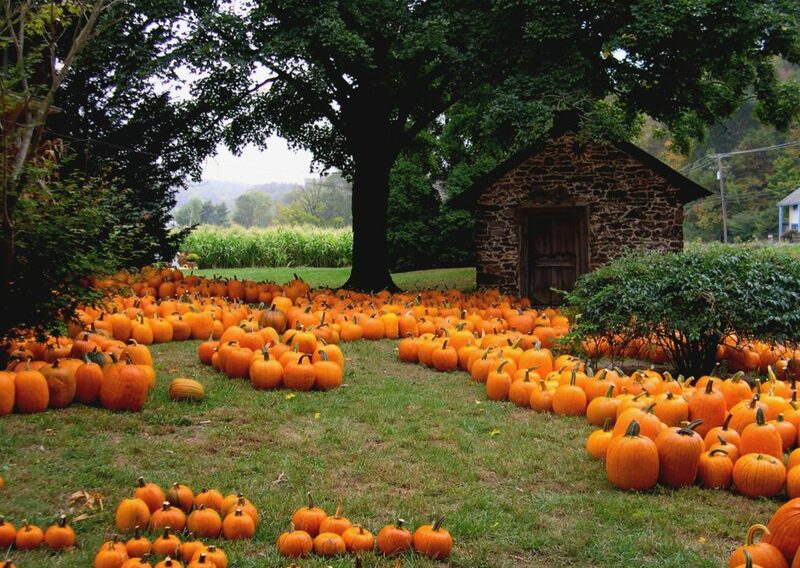 Pumpkin is one of the most widely grown foods in the world. Pumpkin, which is technically a fruit, is incredibly rich in vital antioxidants and vitamins. Yet another good source of T, pumpkin contains 0.04 grams per ounce. Potato is the number one vegetable crop in the world. 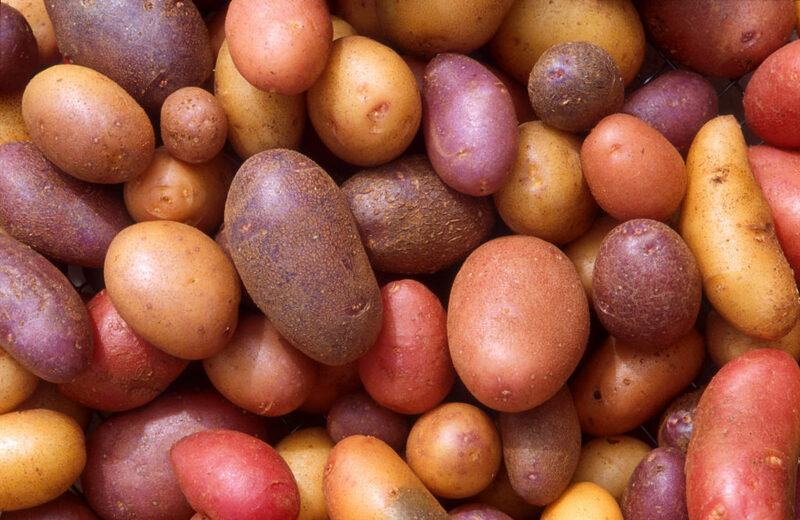 According to The George Mateljan Foundation, “potatoes are a very good source of vitamin B6 and a good source of potassium, vitamin C, and dietary fiber. Potatoes also contain a variety of phytonutrients that have antioxidant activity.” As well, potatoes also contain a good amount of T; 0.008 grams per ounce. Walnuts are delicious nuts thought to increase intellectuality… Cool! Walnuts are richer than most all nuts in polyunsaturated fats. The most abundant being an Omega-6 fatty acid called linoleic acid. 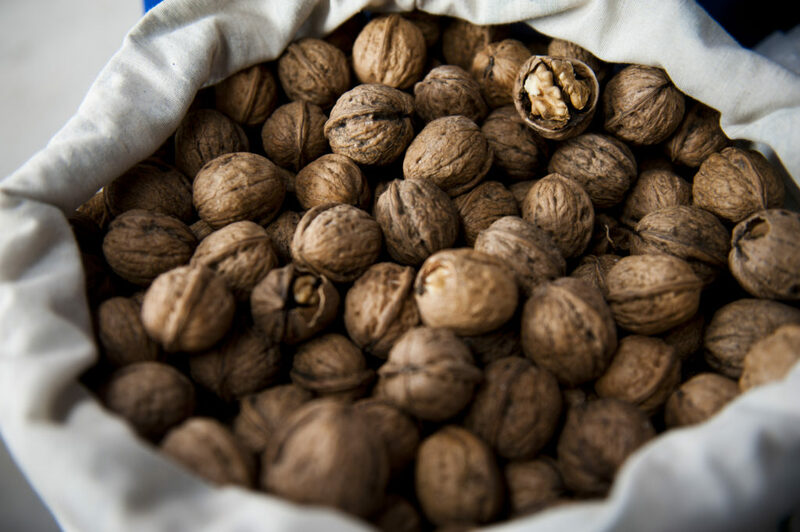 Walnuts also contain a relatively high % of the healthy Omega-3 fat, alpha-linolenic acid (ALA). Most of all, the health benefits of walnuts include reduction in bad cholesterol, improvement in metabolism, and control of diabetes. As for intellectuality, the high amount of T may be responsible; walnuts contain 0.10 grams per ounce. Fun fact: 1 serving of cauliflower contains 77% of the recommended daily value of vitamin C. Cauliflower is a great source of protein, fiber and potassium. As with broccoli, cauliflower is a member of the cruciferous family of vegetables. 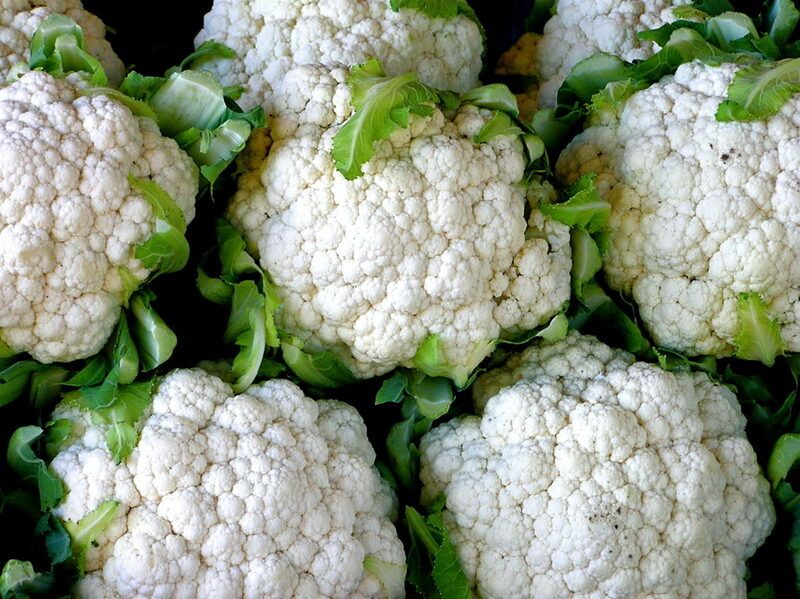 Cauliflower contains many essential amino acid, including T; contains 0.0025 grams per ounce. With so many applications, it’s no wonder cucumbers are the 4th most cultivated vegetable in the world. 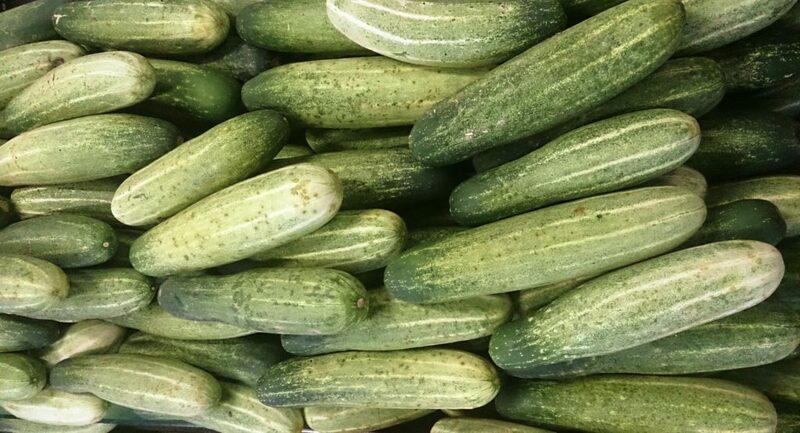 A superfood, cucumbers are an excellent source of molybdenum and vitamin K. They are also a good source of vitamin C, potassium, and magnesium. Oh, and ladies, cucumbers contain silica, the nail health-promoting mineral! The amount of T is slightly low; an estimated 0.001 grams per ounce. Did you know, when exposed to light, mushrooms produce vitamin D? Just like human beings! 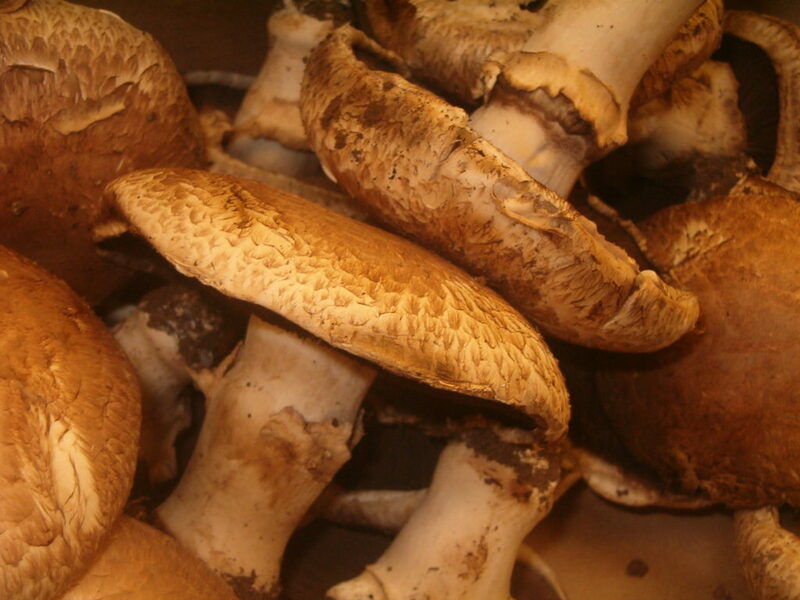 A variety of mushrooms also contain selenium, which is good for our livers. Moreover, mushrooms boost our immune systems, they’re high in antioxidants, and contain loads of vitamin B2 and B3. Mushrooms typically contain 0.0025 grams per ounce… Low, but still a good source. Leafy greens (or leafy green vegetables) are famous for their antioxidant and anticancer properties. For example, they’re low in fat, high in fiber, and rich in vitamin C and phytochemicals. What does this mean? 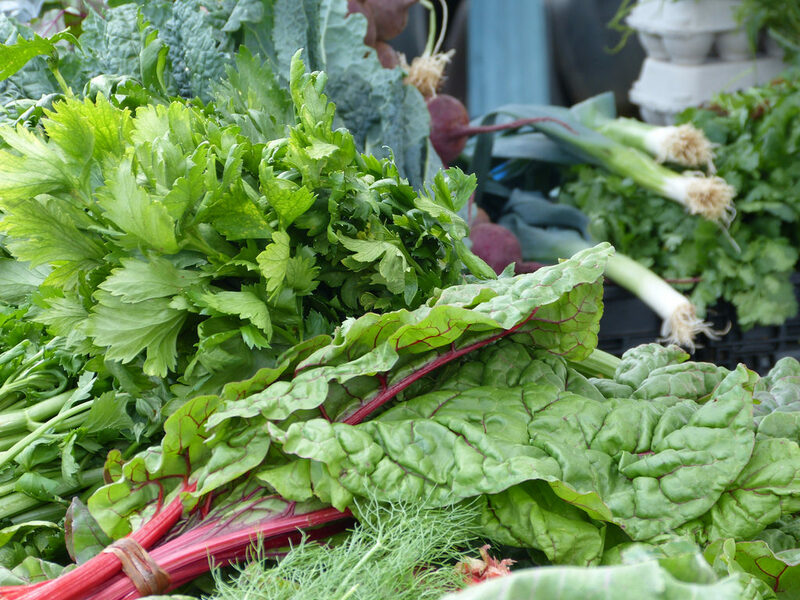 Leafy greens can reduce the risk of cancer and heart disease… Yes! In addition, they’re also a good source of T; spinach contains 0.008 grams per ounce. 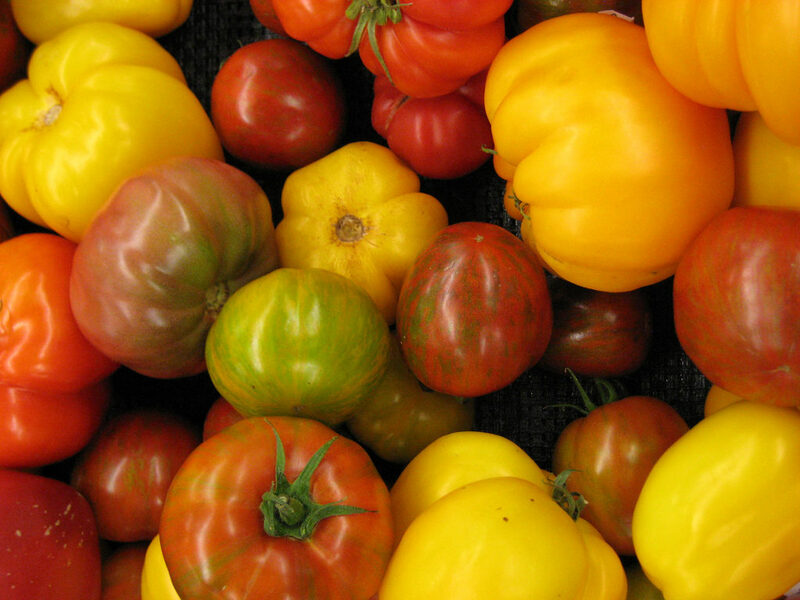 Tomatoes are treasures of riches when it comes to their nutritive and antioxidant benefits. For example, tomatoes are an excellent source vitamin C and K. As well, tomatoes are a very good source of dietary fiber, vitamin A and E. Tomatoes are also enriched in terms of T, as it contains 0.001 grams per ounce. The reason tryptophan is so powerful is because the body uses it to make serotonin, our “happy hormone” which regulates mood. Because some serotonin gets converted into melatonin, it is also associated with helping sleep. It is impossible to supplement with serotonin itself (even antidepressants don’t boost serotonin production levels; they just prevent serotonin from being absorbed so its effects last longer). You can, however, take tryptophan in order to naturally boost serotonin levels. Some of that serotonin is then used to make melatonin, which helps regulate sleep. If you read through the tryptophan studies, you’ll see that all of the amazing benefits of tryptophan are linked to taking tryptophan supplements, and not natural sources of tryptophan from food. But what about all those hyped-up claims that turkey helps you sleep? The real reason people feel sleepy after Thanksgiving probably has nothing to do with turkey and tryptophan, but rather because they ate too much. When you eat a lot of carbs (especially sugary ones like dessert), it produces a surge of serotonin in the brain which can make you feel happy and sleepy. Plus, your body has to use a lot of energy to digest all of those calories you consumed, which puts you into a coma-like stupor. Consider that the average Thanksgiving dinner has 4,500 calories. That is a lot for your body to digest! In reality, when you eat tryptophan foods, most of that tryptophan is getting incorporated into tissue proteins or converted into other substances like niacin (source). Tryptophan from foods simply isn’t very good at getting to our brains. As Scientific American explains, when you eat tryptophan foods, the tryptophan does get into the blood. To get to the brain, it needs to be transported by special proteins across the blood-brain barrier. The problem is that other amino acids are also competing for these transport proteins. The other amino acids are more adept at getting to those transport proteins and tryptophan has a hard time getting from the blood to the brain. Since tryptophan competes with other amino acids to get to the brain, eating tryptophan foods aren’t going to have a dramatic effect on your mood or sleepiness. But there is an interesting exception: Eating tryptophan foods with carbohydrates can help more tryptophan get to the brain. Finally, we now know that cytokines degrade tryptophan. Cytokines are pro-inflammatory proteins involved in the immune response. They are released when we are sick, and also in response to certain foods, like saturated fats and trans fats. There are some proven ways to reduce cytokine levels, including getting more Omega 3, eating antioxidant-rich foods, reducing saturated fat intake, and getting more fiber. Again, vegetarians seem to have an edge here. This might be another reason vegetarianism is linked to better mood. A tryptophan supplement isn’t going to compensate for poor lifestyle, like your junk-food diet, lack of exercise, or the fact that you spend the 3 hours before sleep on the couch watching a marathon of Game of Thrones. But, if you really think you need an extra boost of serotonin and help falling asleep, then tryptophan supplements might be an option. Note that there was a tryptophan supplement scare in the late 80s/early 90s when the supplement was linked to the disease eosinophilia-myalgia syndrome, and subsequently all tryptophan supplements were recalled by the FDA. It was later found that the disease was not caused by tryptophan itself, but because the supplements had been contaminated. Today, contamination errors have been corrected and tryptophan supplements are considered safe, though pregnant and breastfeeding women should still consult with their doctors before taking tryptophan.